3. Chuckle to yourself every time your spouse calls to say how much he appreciates you. 4. Buy four kinds of chocolate candy and share amongst yourselves. This is definitely the first annual sister-getaway of many many more to come. So gimme the scoop ladies—any fun sister getaway traditions you can share? . . .Oh, and we MIGHT go parasailing. We’ll see. Palm tree, meet Baptist. 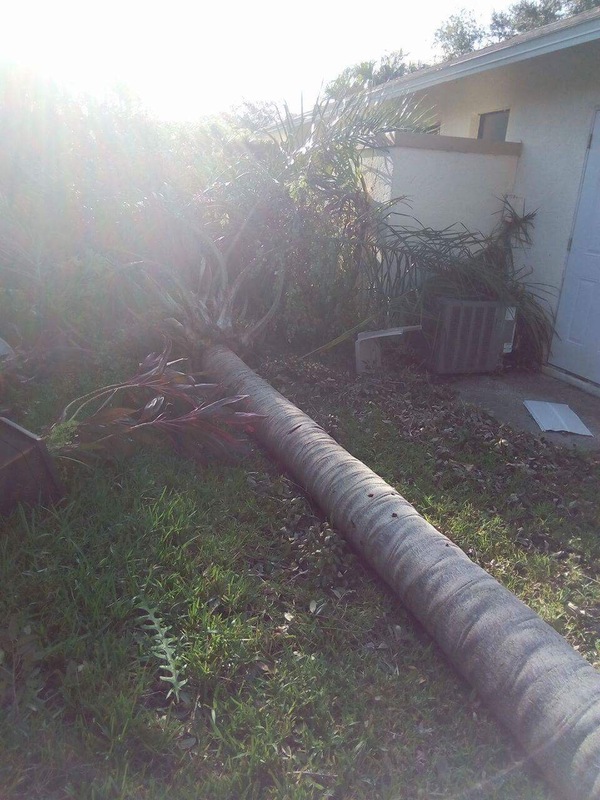 Baptist, meet fallen palm tree. They just showed up yesterday and chainsawed the palm tree that was on our tree service guy’s very, very long wait list. Boom, done. For free. Because BAPTISTS. He and my neighbor swapped heart attack stories (as sixty-something men do) and the Baptist (not John as far as I am aware) said his doctor found a 95% blockage two years ago. Saved his life. Told him he was one lucky fella. “I told him, not luck. FAITH! I prayed for my heart and for my doctor to fix it and he did.” And two years later here he is volunteering all the way from Pennsylvania. Look for the helpers my friends.